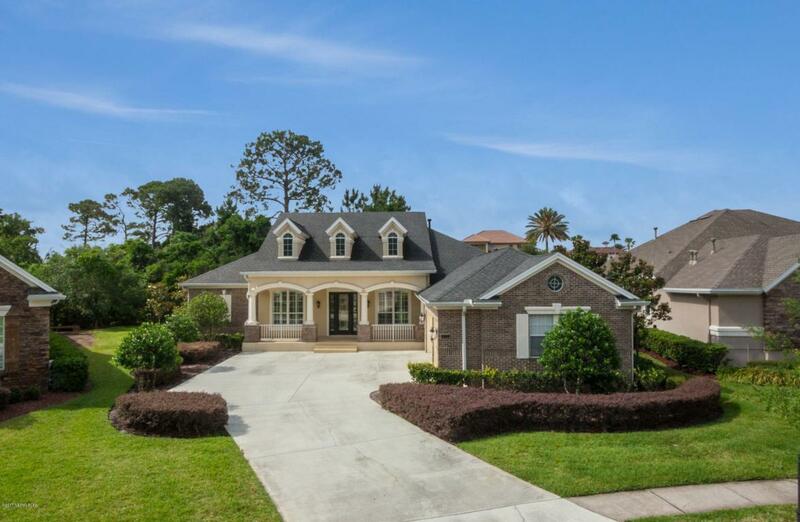 CUSTOM BUILT, DAVID WEEKLY HOME ON A HUGE LOT IN PALENCIA! You will notice the quality immediately as you are greeted by a custom lead glass front door & mosaic inlaid in the foyer. This 4 bed, 3 bath home features a 3 car garage, an open family room with fireplace, separate living and dining rooms, wood floors and plantation shutters. The huge gourmet kitchen offers granite, tile back splash, gas cooktop, pecan custom cabinets and a breakfast bar. The spacious master suite has an awesome closet full of organizers, motorized window treatments and a gorgeous bath. As you come in from garage & pass through laundry area, you have a computer workstation/craft/hobby area. This one shows beautifully! Additional fees: $71 a month for basic cable and internet.Located in the community of Palencia featuring 20 miles of biking/hiking trails, 13 parks, golf, tennis, fitness center, 3 pools w/water park, soccer and football fields, children's activities and a fantastic elementary school.